It’s a new year and a new you, which means that it’s time to pick up that new skill that you’ve always wanted to learn. 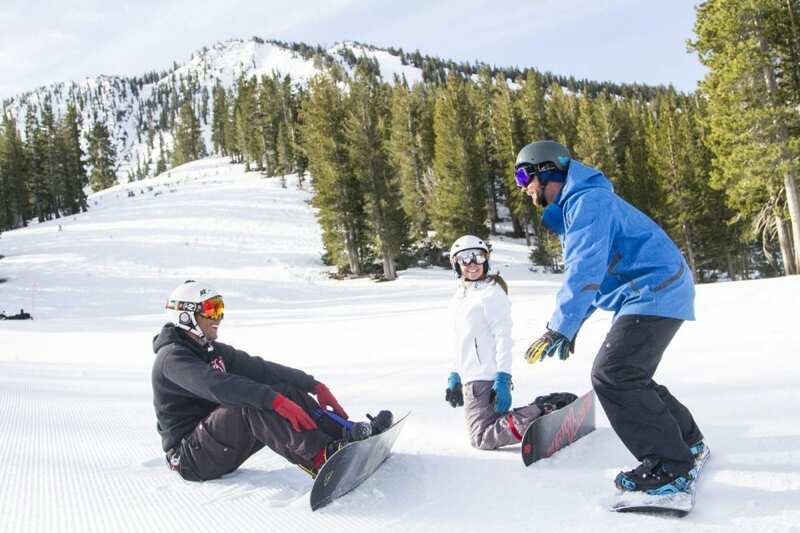 January is Learn to Ski and Snowboard Month and many of North Lake Tahoe’s resorts are offering discounts on lessons, lift tickets, rentals, lodging and more, making it easier than ever to try a new sport this year. While North Lake Tahoe is known for its distinct downhill skiing options at its 12 alpine ski resorts, the area also offers the nation’s most diverse cross country terrain. 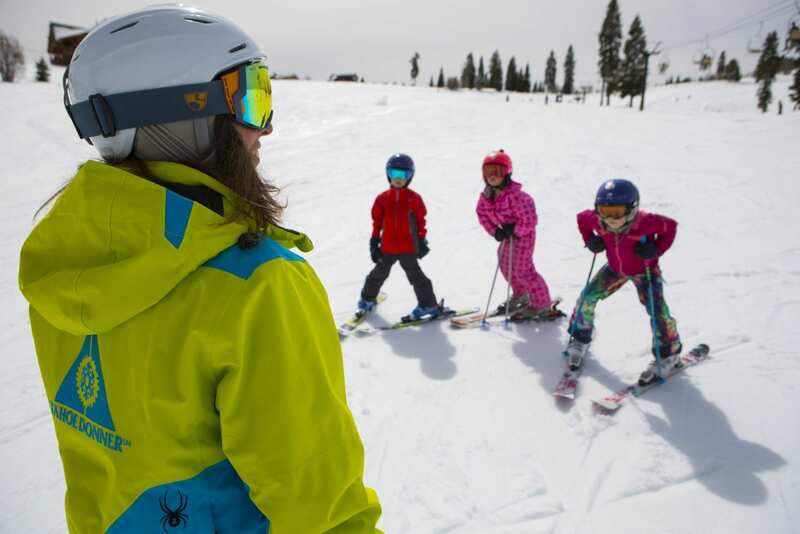 Every January, The National Snow Sports Industry Association celebrates The Learn to Ski and Ride Program to ignite and rekindle passions for skiing and snowboarding. It’s the perfect time for children and adults who are first-time skiers to get started. Note: Some packages are available throughout the entire ski season, so you can continue to practice what you’ve learned! Ready to learn to ski and ride yourself? 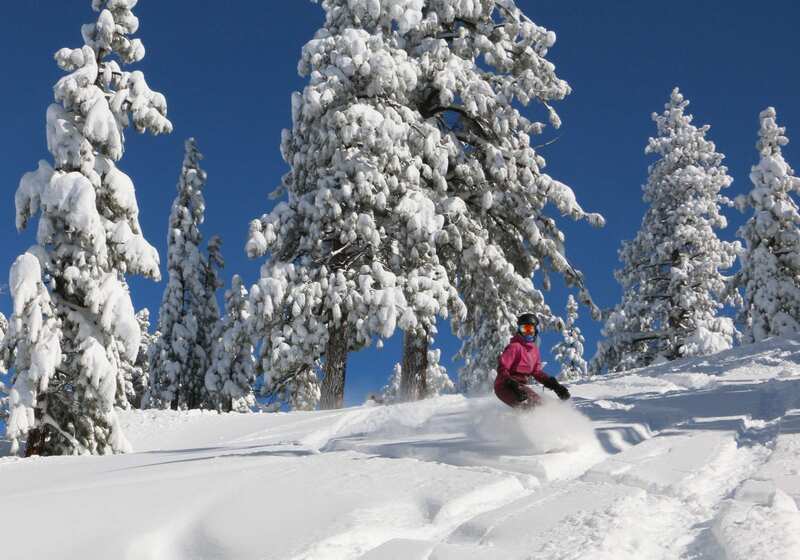 Try these special experiences at North Lake Tahoe resorts. Diamond Peak recently regraded their beginner-friendly School Yard run to make the terrain more welcoming to first-time and beginner skiers and snowboarders. Already known as one of the best runs for beginner skiers and snowboarders, the new and improved School Yard run offers more usable space for beginners to practice their first turns without worrying about running into others around them. 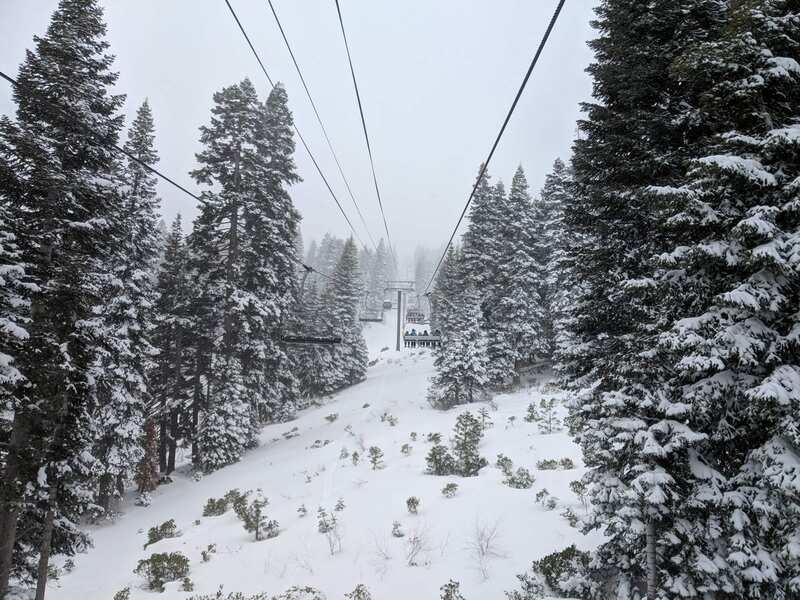 Serviced by the beginner-friendly Schoolhouse chairlift – which keeps riders lower to the ground than a traditional chairlift – the School Yard run has served as the “first turns” for thousands of Lake Tahoe skiers and snowboarders over the years. The Diamond Peak Ski and Snowboard School offers group, private, and semi-private lessons for beginners to advanced skiers and snowboarders. Groups of 2-5 people of similar ability can take a Family and Friends semi-private lesson and learn or improve together. Snowboard lesson packages include Burton Learn to Ride boards that are specially designed for beginners with a forgiving flex pattern and features to make turning easier. View lesson pricing and details here. To celebrate National Learn to Ski & Snowboard Day, Mt Rose Ski Tahoe is offering a $79 learn to ski or ride package on January 11. Participants who learn to ski or snowboard at Mt. Rose Ski Tahoe that day will receive a two-hour group lesson, lift ticket accessing beginner terrain and rental equipment for just $79. Burton Snowboard Academy returns for the tenth year, allowing snowboarders of all levels to enter a realm of terrain-based learning. Leather-seated couches and a fireplace surrounded by top-of-the-line Burton equipment make for a cozy setting to lace up boots. On-mountain, little tikes learn the essentials in the Ripperoo Riglet Park, while more mature boarders progress on the trail, in one of the five nationally-renowned progression parks. The Ripperoo Riglet Park, named for the Burton Riglet Reel, is a specialty terrain-based learning area designed specifically for the youngest snowboarders in Northstar California’s Burton Academy. Children as young as three years old can enter the park with a Burton Academy instructor to experience snowboarding over miniature features. These purpose-built features include various snow formations and man-made structures designed for tiny riders to feel comfortable on a snowboard at a quicker pace, accelerating progression. 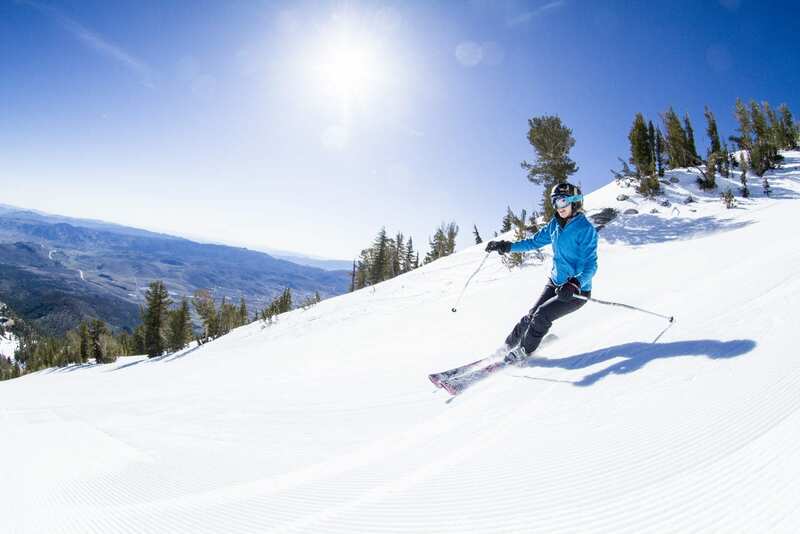 A variety of different lessons for any age or experience level are also available at Northstar California. Private lessons are available for the student (any age) looking for one-on-one attention, to improve the rate of learning, or for the family who comes to ski or ride together — all with an elite instructor. Ultimate 4 Lessons, limited to groups of four children or adults, cater to ages 4+, separated by similar ages, to accommodate an elevated level of instruction in a comfortable environment. Group ski and snowboard lessons are also available for children and build confidence through a collective learning experience for all ages. The Perfect Progression Program is the newest and most comprehensive adult Learn to Ski & Ride program offered through the resort’s Ski & Snowboard School. With this program, participants can make a one-season transition from first-timer to intermediate skier or snowboarder. The program ensures that participants have the skills and confidence to make skiing and riding a lifelong passion, and rewards their hard work with tools to continue developing their skills after finishing the program: 50% off group lessons, season-long rentals, and a Squaw Valley Alpine Meadows 2018-19 season pass—available exclusively for participants of this program. The Perfect Progression Program is a limited quantity product, and is available online for $499 per person. During January 14-17 and 21-24, the team at Tahoe Donner will offer discounted learn to ski or snowboard packages, just $49, as part of “National Learn to Ski Month.” These packages are only for first timers, which include an all-day lift ticket, rental equipment, and a 1.75-hour group lesson for ages 7 and up. Additionally, Tahoe Donner Cross Country Ski Center will offer two-for-one private lessons and private lesson packages any midweek, non-holiday day from January 7-31.